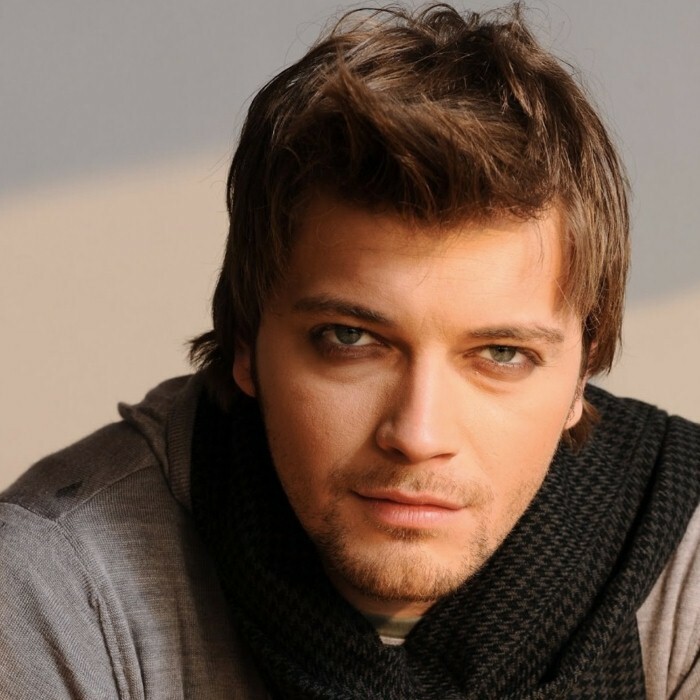 Vlatko Ilievski is a Macedonian pop rock singer and actor. He was the runner-up to be the Macedonian entry for the 2010 Eurovision Song Contest and represented Macedonia in the 2011 Eurovision Song Contest with the song Rusinka in Düsseldorf, Germany. He was previously a member of rock band Morality. He was a student of acting at the Faculty of Dramatic Arts, Skopje, where he graduated in 2010 with the drama "Anger" from Stephen King (The Rage). He was born in Skopje. At age of 12, he started playing guitar and singing in local bands in Skopje. In 2000 he performed at the Macedonian Rock-Fest with the band "Made in Macedonia", and won two prizes. In 2000, Macedonian rock band Morality (Морал) asked Ilievski to join their band. In 2001, they recorded songs and in 2003 they finished the album, "Koga Patuvam". Their songs include: "Панично те сакам", "Скопје", "Ти си", "Ова е Македонија", and "А ти ме убиваш". In 2005, Moral were Deep Purple's support act for their concert in Skopje. He started his solo career in 2007. His famous songs аre: "Небо"(performed at Оhrid fest 2008), "Уште си ми ти", "Со Други Зборови"(performed at the European song contest "Skopje 2008" Metropolis Arena), "Не те можам" (performed at Makfest 2008 with Dani), "Taка требало да биде", "Се што сакав после тебе", "Сите ми се криви", "Гушни ме" (with Tamara), "Скитник", "Најбогат на свет (Najbogatij)" (Skopje Fest 2009, and a prize-winner at RadiskiFestival, March 2009), "Роза сине", "Исцеление", "Пак на старо" (performed at Makfest 2009), "За лјубов се пее до крај" (with Risto Samardziev, prize-winning at Ohrid Fest 2009), "Работнички шампионе", "Среќа" (Skopje fest 2010, winning second prize), and "Есен". His first solo concert was on 5 June 2010, in the Boris Trajkovski Hall, Skopje, Macedonia, one of the largest arenas in the country. He filled the venue with an audience of around 10,000, in duet with Tamara, and was joined on-stage by his old band. He was supported by local bands Shvaleri and DZHMS; the lead guitarist of the latter is Ivan Ivanov, son of the Macedonian President George Ivanov, who was in the audience. Ilievski is filming a TV series to be broadcast in September. His first album was Со други зборови ("In Other Words") with 10 songs: Со други зборови, И премногу добро, Сите ми се криви, Така требало да биде, Уште си ми ти,Не те можам (дует со Дани Димитровска), Гушни ме (дует со Тамара Тодевска), Од утре не, Небо, Скитник. His second solo album is Најбогат на свет ("Richest of the World") with 10 songs: Среќа, Пред да те знам, И ти и јас, Се што сакав по тебе, Пак на старо, Најбогат на свет, Есен, За љубов се пее до крај (with Ристо Самарџиев), Не плачи, извини и Небо (unplugged).